South Burlington, Saturday, February 23rd, 12:00-2:00 p.m. 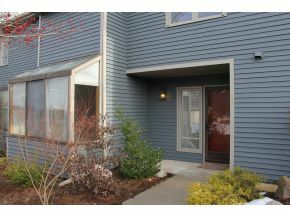 This great condo sits in the center of South Burlington. The location offers easy access to all major amenities and transportation routes, including the SB Bike Path. The property boasts a community garden and an impressive 30 acres of community land. It also sits just across the road from the city rec fields and ice arena. For more information or to make an appointment to see this property call Mike Dumont at 1-802-658-5555 ext.2133.